Croatia’s charm and mystique can be seen in every facet of modern-day life in Dubrovnik. The unique blend of sheer beauty and intrigue leaves every traveller with a deep feeling of awe, hypnotised by the city’s bewitching beauty. 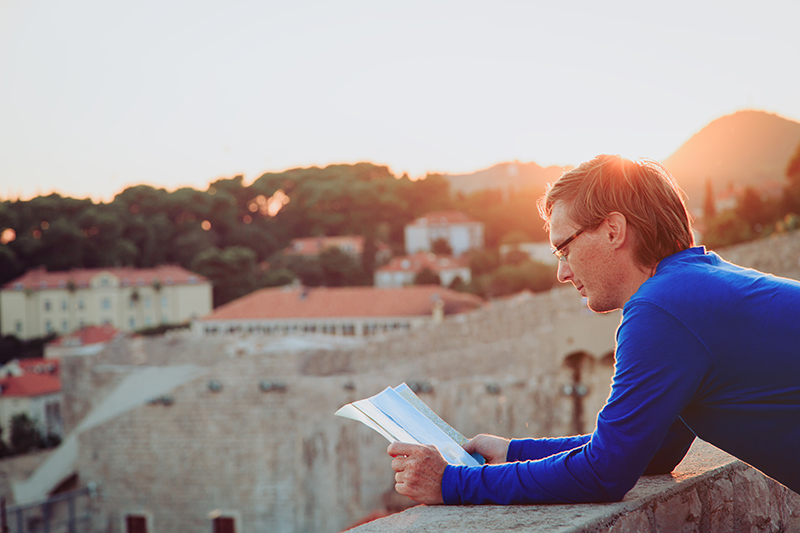 But, once you’ve finished aimlessly wandering around taking in the crystal-clear waters of the Adriatic Sea and the captivating architecture, where can you go to experience the wonderfully unique culture of Dubrovnik and learn a little about how this city came to be? This breathtaking palace combines gothic architecture with Renaissance and baroque elements. 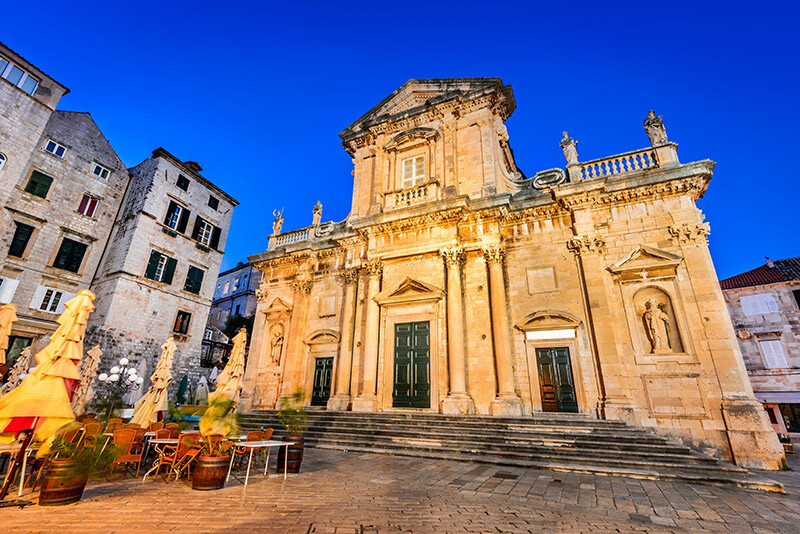 The building originally served as the seat of the Rector for the Republic of Ragusa, a maritime republic that met its demise after it was conquered by Napoleon’s French Empire and was once used as a prison for criminals. It now operates as a spectacular museum, for you to learn a little more about Dubrovnik’s tumultuous past. 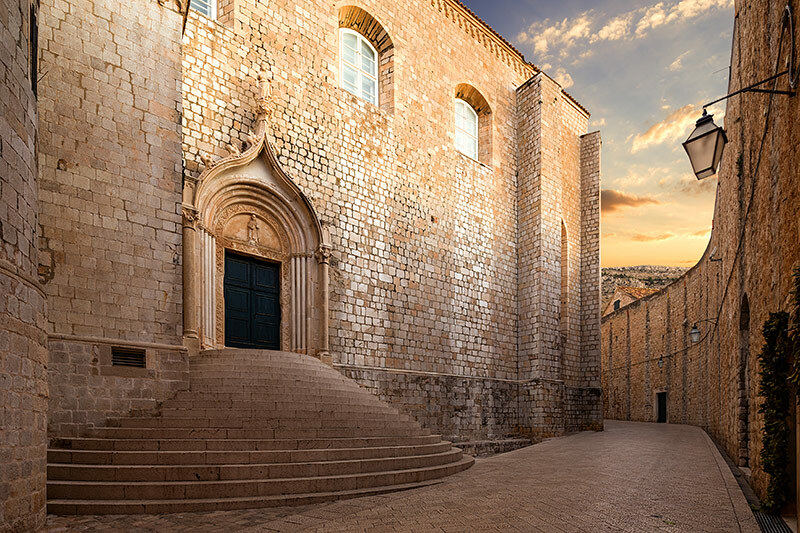 This Romanesque cathedral is the seat of the Diocese of Dubrovnik. A grand building that took over three decades to complete and looms over this magnificent city. It’s said part of the money for the Cathedral was donated by the English King, Richard the Lion Heart, who survived a shipwreck near the island of Lokrum on his way back from the crusade. 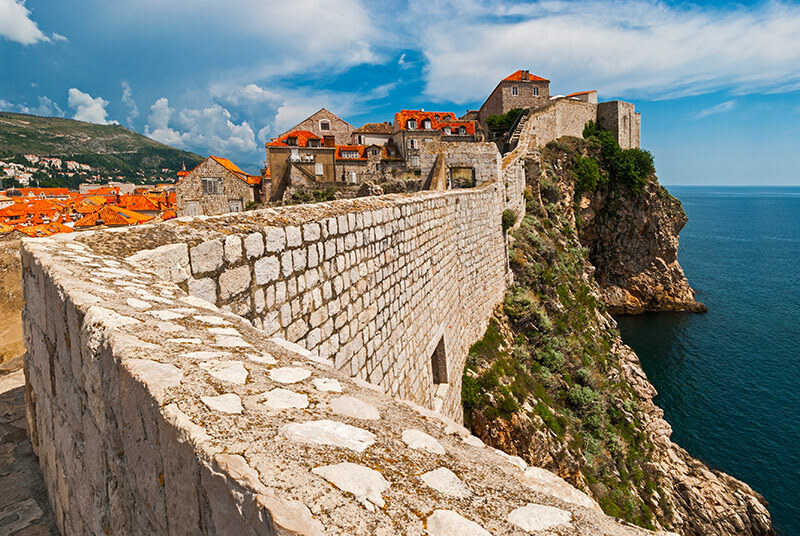 The walls surrounding the city of Dubrovnik have a startling history. They were built as a defensive measure against attacking armies. These stone walls have become a sense of pride amongst the locals of Croatia and today, many people travel from all over the world to walk the 1,940 meters and take in the beauty of Dubrovnik from above. The Dominican monastery is a must for anyone interested in the remarkable architecture of Dubrovnik. 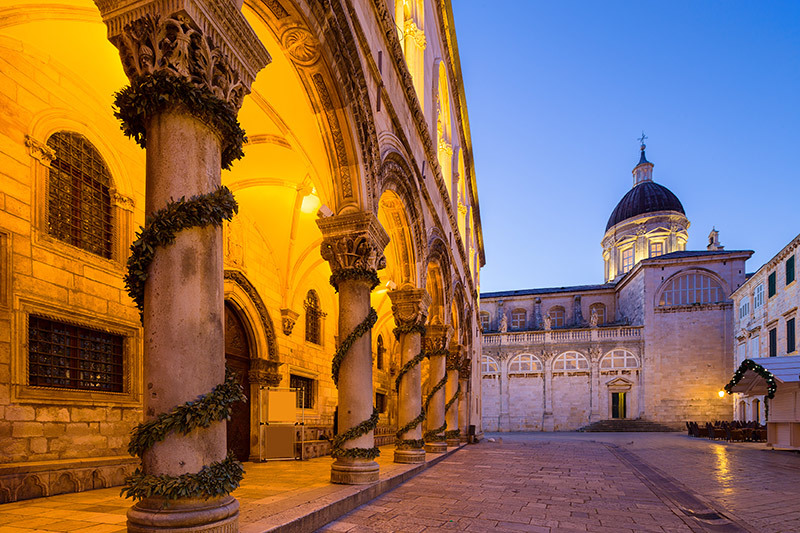 It’s one of the cultural and artistic centre pieces for the city and exhibits many paintings, jewellery and other artefacts from Dubrovnik’s rich history. This monastery was originally founded in 1225 and the simple Gothic-design makes it stand out amongst the intricate architecture of surrounding buildings. The annual festivities take place between July and August, and this year will mark the 68th Dubrovnik summer festival. The perfect place to partake in Croatia’s wonderfully unique culture. You can watch, as the locals treat you to traditional music, dance and a little time-honoured folklore. 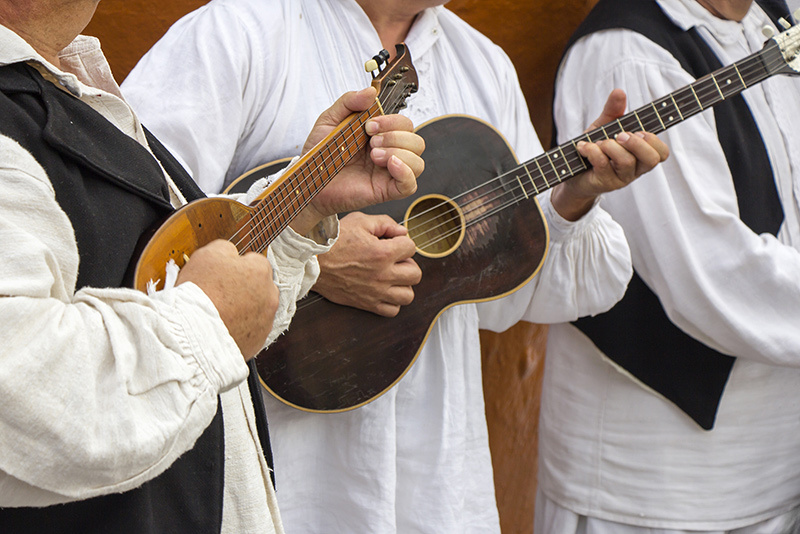 Indulge in a little culture on your next visit to Dubrovnik.